Prepare yourselves for a circus extravaganza coming January 2017, with Circus 1903 - The Golden Age of Circus stomping into town. The world premiere event has been put together by the same producers of the biggest selling magic show (The Illusionists), who have teamed up with the award winning puppeteers of War Horse. A huge cast makes up the multicultural troupe, from strong men to contortionists, acrobats to musicians, knife throwers, high wire and much more, Circus 1903 - The Golden Age of Circus, promises to take you back to the mesmerising golden age of circus. 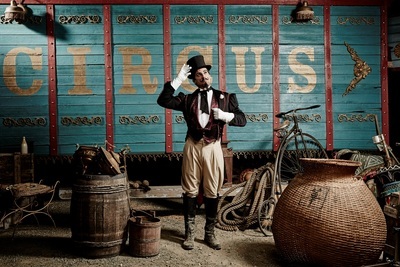 Circus 1903 - The Golden Age of Circus promises to wow audiences of all ages with ground breaking theatrics and puppetry unlike anything you have seen before. Not only will you be wowed by the elephants, but you will enjoy the art of traditional circus performed by experts in the field from all over the world; a cycle artist from Germany; juggling from France; rola bola from Russia; hand to hand acrobatics from the Ukraine; an high wire act from Mexico; and a knife thrower from Brazil. This incredible world premiere event opens in Canberra this December, moving onto Sydney, and then Melbourne, before jetting off to Los Angeles and New York.